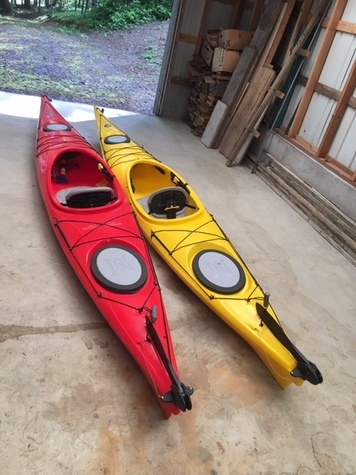 Carolina perception kayak solid yellow is 13.5'. It is in great condition. We are moving and will not longer have room. It has always been stored inside. It has a padded seat, two storage compartments, rudders and track very well in the water. It is a very sturdy boat. You'll enjoy this longer boat over the shorter ones.